The unique design of the Ginkgo decorative acoustic tile combines Japanese tradition with a contemporary European perspective. Select and arrange them to create an interior landscape on your wall. 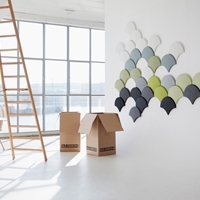 Make your installation large or small, brilliantly coloured or subdued neutrals, full wall coverage or part. A cloudy sky in winter or a forest ablaze with autumn colour or whatever inspires. 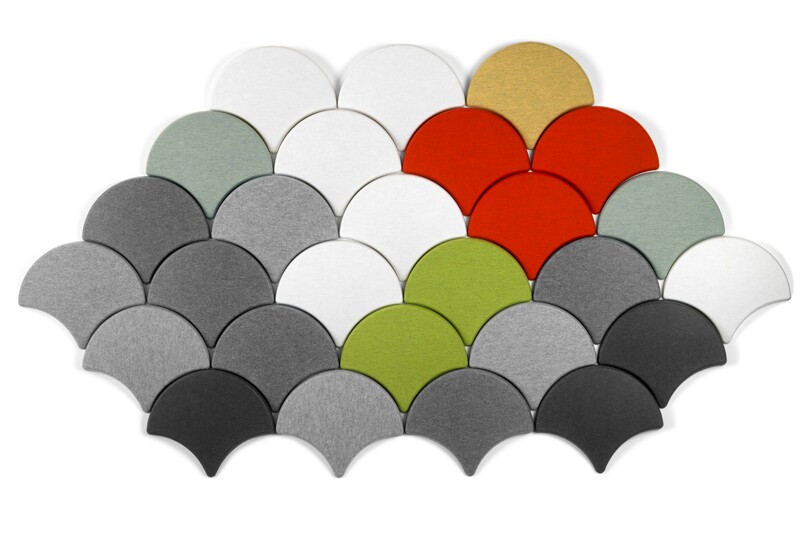 Like all acoustic panels, the Ginkgo product reduces ambient noise and echo in the room. 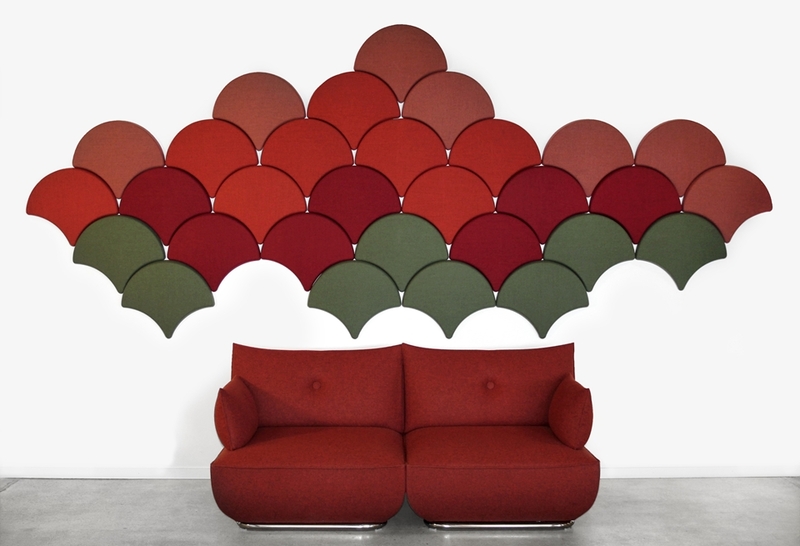 DESIGN YOUR OWN GINGKO WALL! Enter your measurements, choose your colours and see your result. Fabrics and arrangement are saved for you, as an installation guide. Click here for the GINGKO WALL PLANNER TOOL! 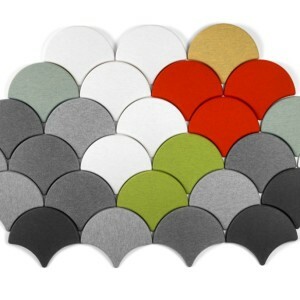 Ginkgo acoustic panels are mounted on the wall with a single magnetic fitting. The system is easy to install and it’s easy to rearrange your colours at any time to refresh your design. Ginkgo is created by Stone Designs of Spain and fabricated to order by Blå Station of Sweden. 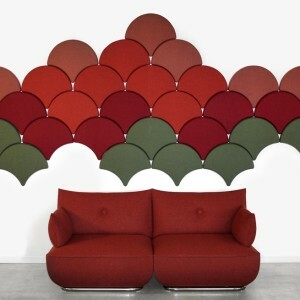 Acoustics With Design is the exclusive Canadian distributor of Ginkgo decorative panels.